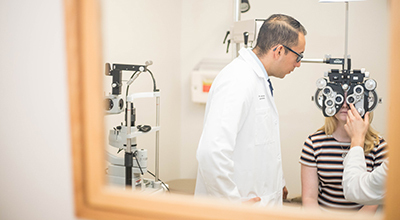 The mission of the Carl Camras Center is to go beyond conventional therapies to provide extraordinary care for all patients with vision threatening eye diseases. 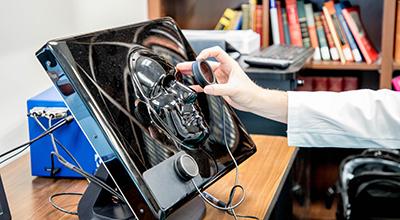 Our physicians and scientists perform the most advanced research and clinical studies for a variety of eye diseases including ocular inflammation (especially punctate inner choroidopathy), diabetic eye disease, age-related macular degeneration (AMD), glaucoma, and thyroid eye disease. We translate discoveries into the most cutting edge therapies. This center allows ophthalmologists, optometrists, and vision scientists to bring medical breakthroughs to everyone. 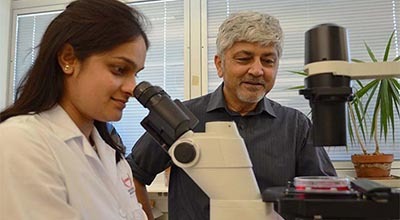 A discovery by Iqbal Ahmad, PhD., and detailed in the journal Stem Cells, could result in earlier diagnosis and treatment of a common form of glaucoma, the second leading cause of irreversible blindness. Learn more about the study. 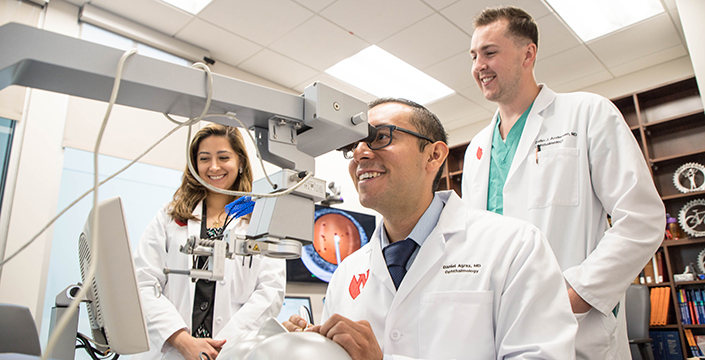 The Truhlsen Eye Institute is researching therapies for wet age-related macular degeneration (AMD), new therapies for dry AMD, treatments for diabetic eye disease, and treatments for vein occlusion. 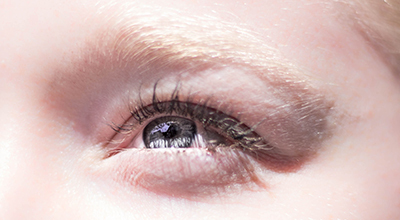 Glaucoma is characterized by an increase in pressure in the eyeball that will damage the optic nerve and cause gradual vision loss. Without patients who commit their time to participate in clinical trials, medical advances would come to a standstill — and future, effective therapies would be impossible. 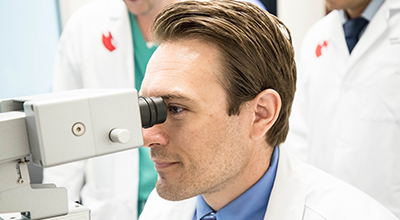 Our scientists (led by the late Carl Camras, MD) investigate eye diseases at the cellular level, and have performed research on prostaglandins, which have become the leading treatment for glaucoma.